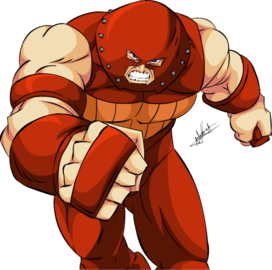 Juggernaut (Cain Marko) is a fictional supervillain appearing in comic books published by Marvel Comics. The character, who first appeared in X-Men #12 (July 1965), was created by writer Stan Lee and artist/co-writer Jack Kirby. He is the stepbrother of Professor X.